Sometimes, the business-oriented tech industry can seem like those egg-shaped Russian dolls. A crop of businesses have emerged and profited from selling technology for business applications, and from there, other businesses have started producing technology to support their technology. Of course, this is good for the economy as a whole, diversifying investments and industrial sectors, but it can lead to confusion for business owners, particularly in smaller companies. With so many products, how do you choose the appropriate products? How do you balance budget and functional requirements? 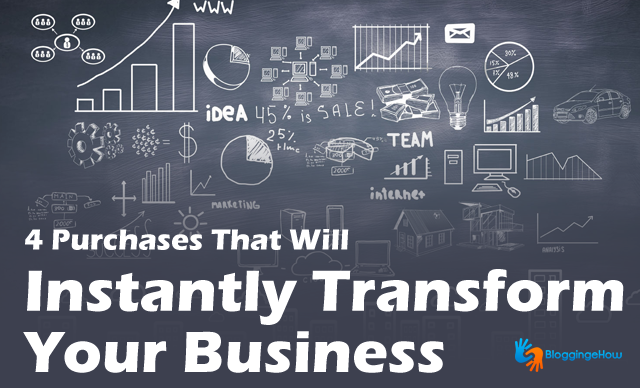 This swarm of new products and services is a boon in disguise, however, because it offers a world of variety for you and your business niche. Here are four key places to begin if you’re looking to shake things up. On release, the iPad may have been considered a gadget more suited to sports recaps and colorful games than white-collar applications. With a fresh supply of apps intended solely for businesses or retail application, as well as an ever-expanding list of hardware for the platform, it’s hard to deny that the iPad is making waves beyond the casual market. Apple’s own business apps, including the much-praised Keynote, are perfect for board meetings and presentations. You don’t have to worry about fussing with projectors, laptops, or flash drives anymore. With an iPad and Keynote installed, your presentation is primed for viewing. Similarly, the Numbers app has been designed to simplify anything from employee records to earnings charts. Instead of searching out complicated third-party support services, opt for a platform shift and a handful of apps, which will give you full sovereignty over your business. For a long while, dot matrix and laser printers held dominion over the business sector. Nobody could deny that a fine-tuned machine with a fresh cartridge could crank out endless pages of black text, and do it efficiently. The problem, however, is that not everybody needs endless pages of that sort. If your business makes frequent use of graphics, labels, or barcodes, there’s no sense in staying with these older models. The lack of high-quality detail is generally enough to prompt a change, but the other catalyst is something you’ve probably begrudgingly accepted: the cost of ink. The latest and greatest trend in printing is the thermal printing model, which uses precise heat application to make its mark on special paper. Unlike dot matrix or laser printing, thermal printing does not have nearly as many moving parts, and it doesn’t rely on ink or toner. Companies such as Shopify have manufactured printers specifically designed for receipt printing or barcode printing, and these are among the best picks if you’re heavily involved in producing shipping labels or operating in retail, where receipts seem to flow in the thousands. Staying in contact with coworkers can be hard enough when you’re just using Skype calls, but it becomes even harder if your business doesn’t have a cutting-edge network. In today’s business world, where telecommuting has become almost as common as heading to the office, a good remote-access program can make all the difference in work output. A variety of companies, such as LogMeIn and GotoMyPC, have manufactured software designed to allow your employees (or you) to work from nearly any location. Some of these products carry a one-time fee, while others are paid per month. In addition, they often have specifications regarding how many machines you can host on the program. Keep this in mind while choosing, and try to select something that has the features you truly need. You might also want to reconfigure your Wi-Fi network, opting for more encryption settings or trying to increase your network’s bandwidth. One of the most prominent technologies in modern business is cloud-computing, which hosts all of your data on a centralized “cloud” that any user can access, provided they have the proper authorization. This sort of system ties into remote-access, but is not entirely similar. Cloud servers such as Google Drive can often be accessed from a wide range of devices, enabling you to work on projects from your phone, tablet, or laptop. In addition, they prevent you from losing your work, should the platform crash while in use. When selecting a cloud service, seek out companies that offer the amount of storage you’ll need for your projects. Image-based operations will generally require more space than their text-file counterparts. There are a million branching (or egg-shaped) options for your needs, and sorting through them can seem almost as taxing as running your business. Regardless of your goals or price limitations, however, there are always some classic areas to start. Focus on the function over form, looking into the future, and establishing stability in your operations. With those essential elements satisfied, you can continue into your next tier of upgrades.